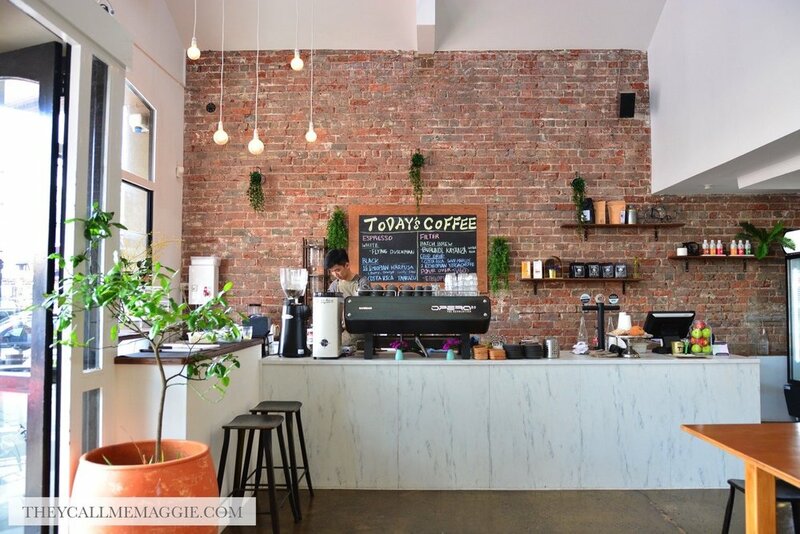 There’s no shortage of cafe destinations in Melbourne thanks to the thriving brunch culture, so it’s always welcoming to see a new cafe that offers outside the box dining options. And most importantly, when they manage to pull it off. 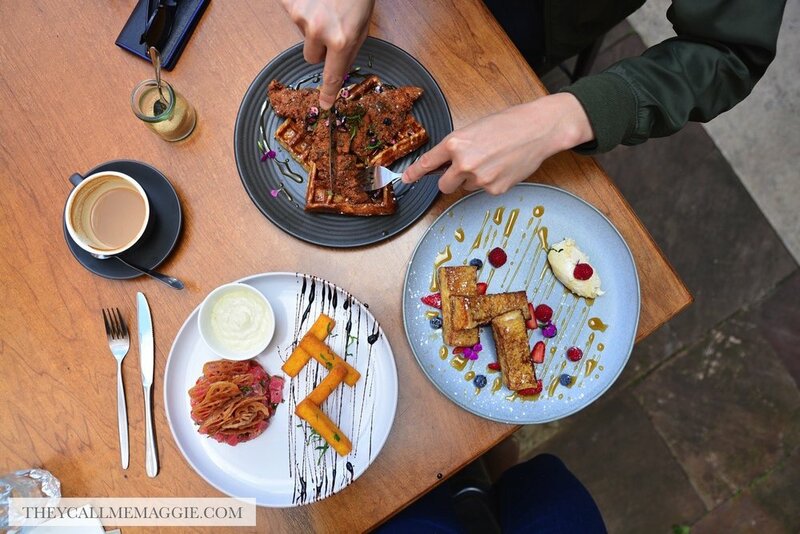 Enter The Coventry, which certainly faces stiff competition from the abundance of cafes all around South Melbourne, but offers inventive dishes that set them apart. 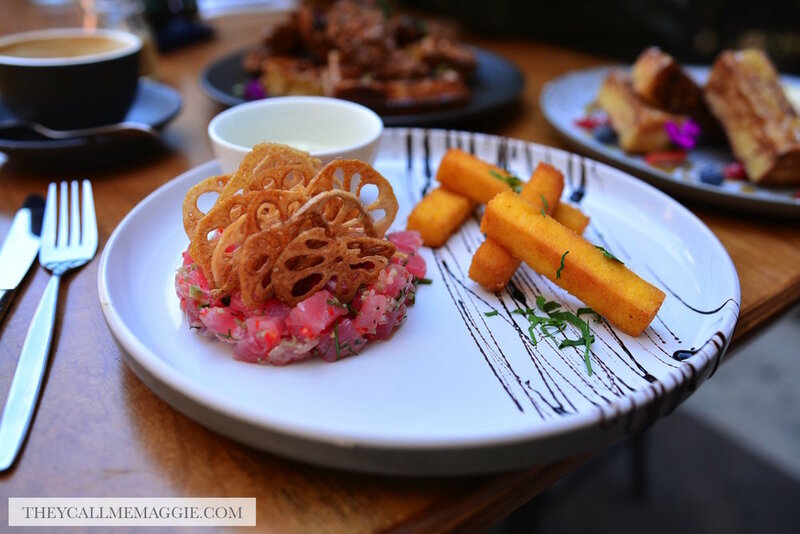 Like their fish and chips; silky fresh tuna tartare with a good dose of herby aroma and zesty punch mixed through, and paired with polenta chips that sported a good crunchy interior and velvety smooth interior. Throw in some crispy lotus crisps for bonus crunch and salty taste factor. My dining companion dug into the Korean fried chicken and waffles, where the chicken pieces were juicy and not at all dry. Again, much crunch crammed into the fried exterior. The umami flavour base of the seasoned coating was quite intense and overpowering when consumed solo… but together with the subtle sweetness from the waffles+berries and the sweeter yet bourbon+maple syrup sauce formed the perfect marriage of flavours that had you yearning for another bite. If you’re a fan of sweet for brunch, you can’t go wrong with the oh so simple but spot on French toast; comprised of airy light brioche fingers, fresh berries and a generous drizzle of maple syrup. Fish and chips - fine cubed seasoned tuna tartare with cornichons, capers and shallots, lotus root crisps and golden polenta chips with pesto aioli. Korean fried chicken and waffles - crispy Korean style chicken, with freshly made waffles, finished with a bourbon and maple syrup dressing. French toast - fat fingers of brioche French toast, a quenelle of smoked yoghurt and vanilla infused mascarpone cheese, seasonal berries, fresh mint, crumbed pistachio and maple syrup. Disclosure: I dined as a guest of The Coventry. All opinions expressed in this post are based entirely on my experience and observations made during the time of my visit.